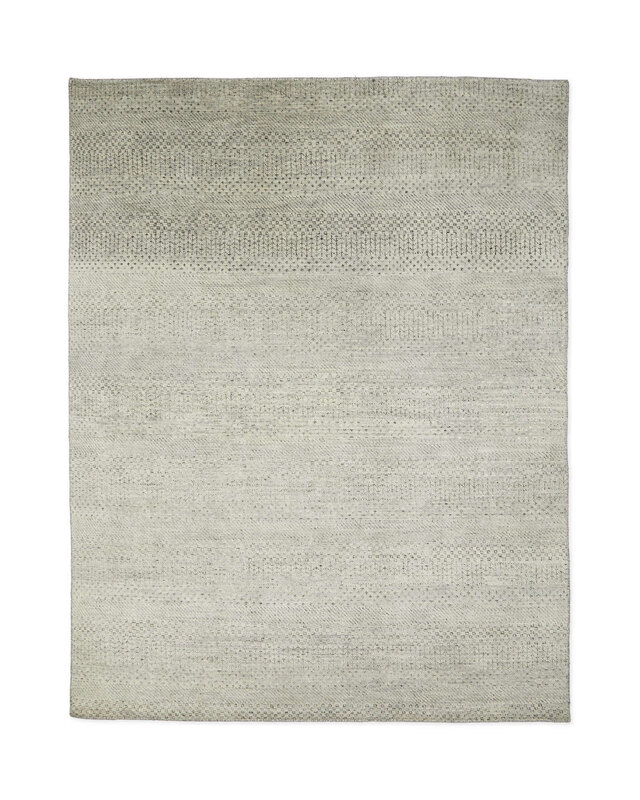 Dipsea Hand-Knotted RugDipsea Hand-Knotted Rug, Fog alt="Dipsea Hand-Knotted Rug, Fog"
Print We love the visual play of this rug: the pattern’s intricacy gives the illusion of a solid – perfect if you’re looking for something dynamic but not overpowering. 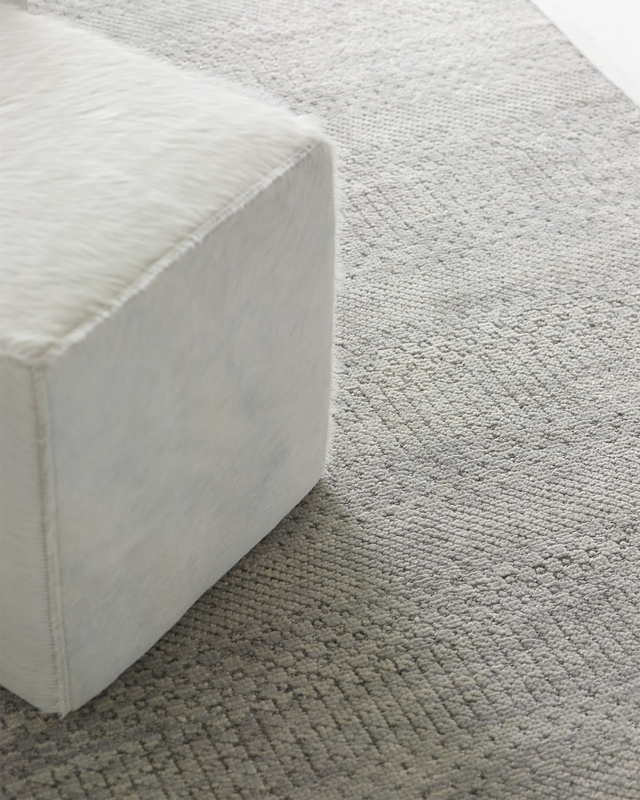 Woven from pure wool with just a hint of silky viscose, it feels fantastic underfoot. 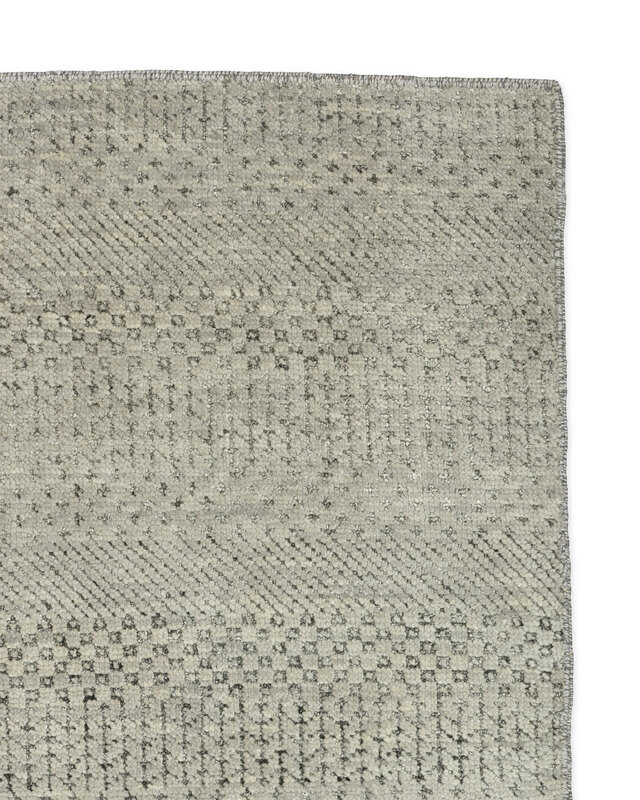 79% wool, 17% viscose, 4% other fibers. For best results, professional cleaning is recommended.